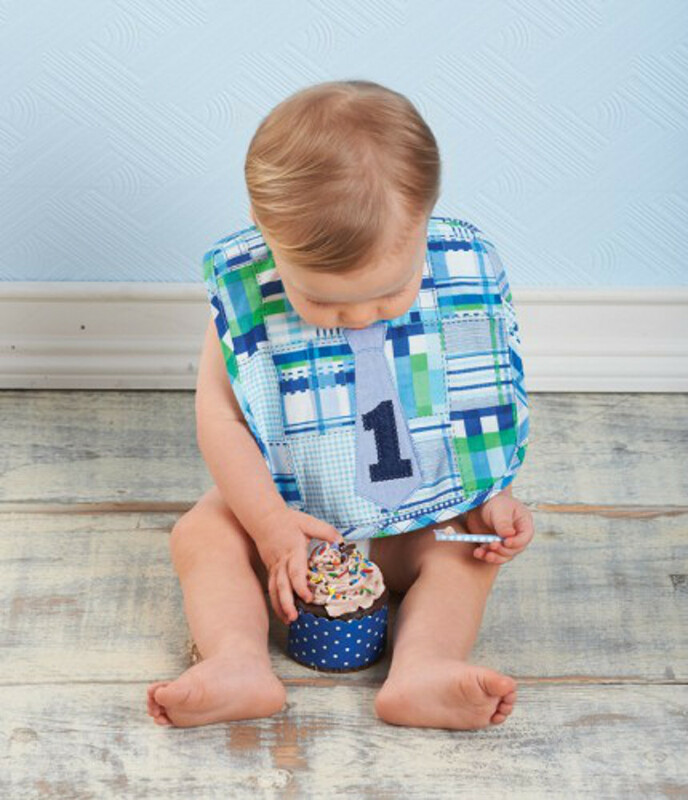 This oversized first birthday bib is perfect for keeping baby's birthday outfit clean, while still looking dressed up for photos as he digs into his cake. The madras plaid bib features a necktie, number "1" applique and Velcro closure. Measures 12" x 10".